She’s also responsible for organizing intramurals and morning exercise each Wednesday, and she’s manager of the student lifeguarding and aquatics program. Add to those tasks the responsibilities of houseparent at Lodgepole House, and you can see Anna’s got a full load going on here. Anna: I’ve moved around a bit. I worked for the National Park Service for seven seasons, I’ve been a college track coach, a personal trainer, I’ve taught at the University of New Hampshire and University of Minnesota, and have worked with youth at a wilderness therapy program in Canada. ER: What first attracted you to Eagle Rock? 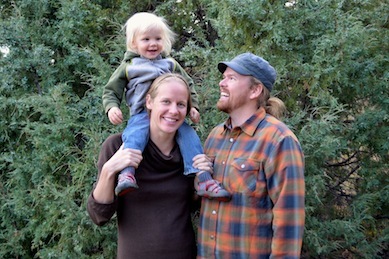 Anna: My husband was a wilderness instructor at Eagle Rock in trimesters 48 and 51 (actually he was leading a wilderness trip with the School up until two days before our wedding.). He fell in love with it and we had both talked about wanting to work at Eagle Rock ever since. Editor’s Note: When it comes to wintertime activities, there’s just something special about lounging on a big, overstuffed sofa in front of a warm fireplace, reading a good book. Such an image reminds us that it’s been some time since we last used this space to find out what our Eagle Rock staff members consider a fine read. Below you’ll find several examples of what our educators believe are real page-turners. We’ve included an image of the highlighted books, as well as a convenient link so you can purchase the selection on Amazon or download it to your laptop, Kindle or tablet. Jen Says: This book is currently serving as a core piece of our Instructional Specialist Professional Development trainings. 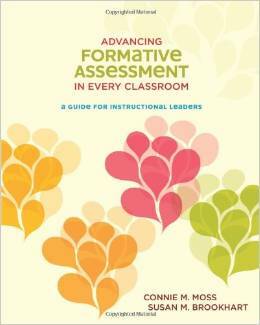 The key theme of this book, and our Professional Development, is Formative Assessment. 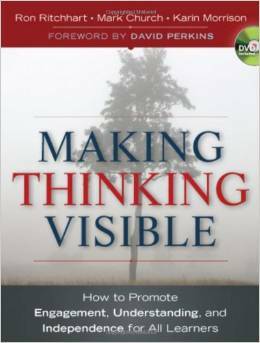 I enjoy this book because it sets a strong foundation to build authentic Formative Assessments for the classroom. Brookhart provides powerful insights for creating and scaffolding learning targets by asking three guiding questions: Where am I going? Where am I now? What strategy or strategies can help me get to where I need to go? By asking these questions, educators are able to recognize where the students are and work side-by-side with them. 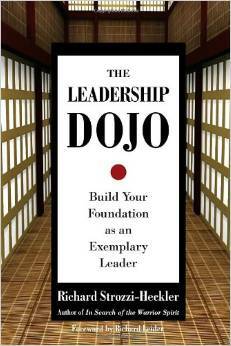 Jesse Says: I thought it was an engaging read that spoke to a deeper and more personal aspect of leadership development. As the description states, “The book presents key principles such as shugyo, or self-cultivation, as crucial in developing the individual responsibility, social commitment, and moral and spiritual vision required to lead with authority and efficacy.” The lessons in this book help me to center some of my own personal growth, to be a better leader in my daily work, and to find more creative ways to develop the leadership curriculum at the Eagle Rock School. Our most recent Explore Week here at Eagle Rock served a pair of purposes. First, it enabled our instructors to catch their second wind and prepare for future coursework. Second, it gave our students the opportunity to be engaged in activities they normally wouldn’t have time for during the regular trimester. Our latest such Explore Week was in late October, and our students were treated to a variety of classes and events that ranged from art expeditions to the stress-relieving benefits of beating on a drum. The week was highlighted with guest artists and speakers, as well as a few Eagle Rock staffers who just happen to have their own special interests that proved interesting enough to stir student interest. Student leaders Ashalou and Aaron Simon were co-leaders for the 2014 Orientation Class for our newest students. Students Emelia, Javonnie, Desiree, Cristian, Cat and Yeshra traveled with Cindy Elkins (Visual Art Instructional Specialist), Dayna Safferstein (Public Allies Visual Arts Fellow) and Niko Viglione Public Allies Human Performance Center Fellow) to Santa Fe, New Mexico, on an art expedition. Criminal attorney William Galloway brought students Rahmel, Daisy, Melvin, Jenny, Aaron, Levi, DJ, Jared and Carson up to date on their rights as U.S. citizens. His presentations included preserving rights while interacting with the police, as well as the history behind some landmark U.S. Supreme Court decisions. Through popular culture references — such as Jay-Z’s hit “99 Problems” — sprinkled with an abundance of courtroom “war stories,” Galloway turned the Bill of Rights and a couple of hundred years of Supreme Court decisions into an interesting and meaningful experience.